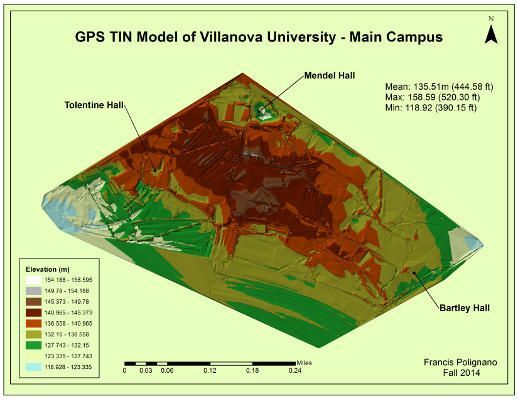 DEM of Villanova's Main Campus created in ArcGIS using data collected with GPS. 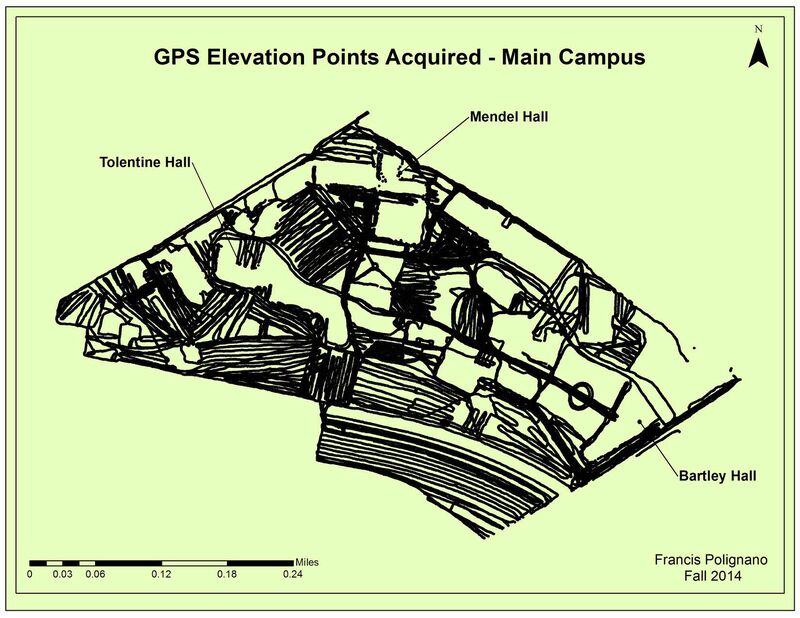 GPS position/elevation points collected on Main Campus. 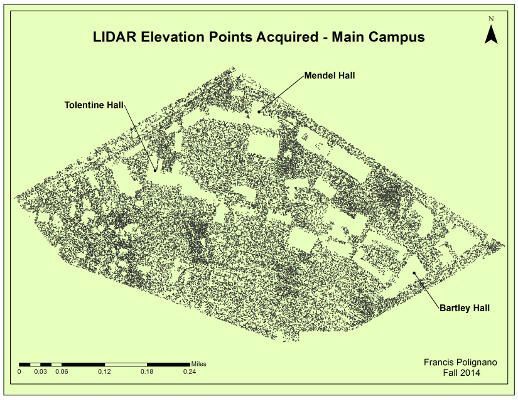 LIDAR dataset of Main Campus. 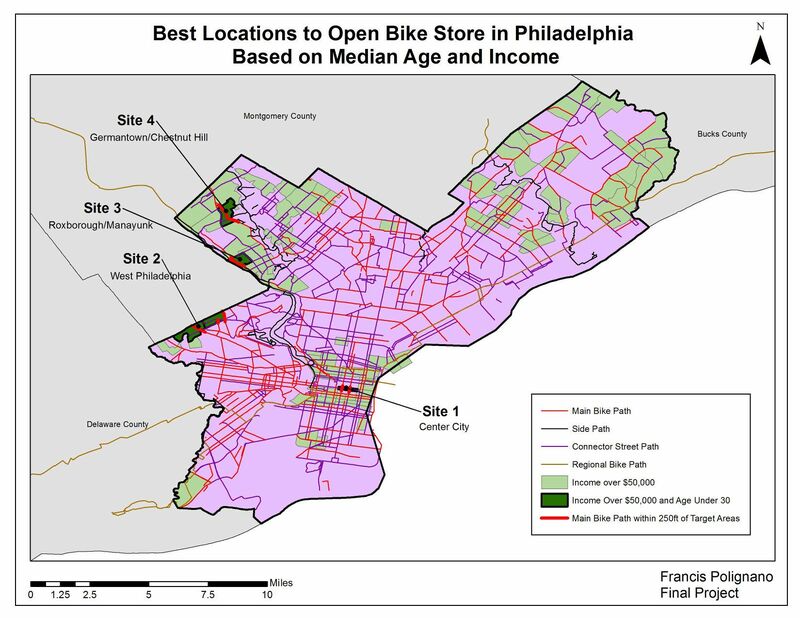 Best locations to open bike store in Philadelphia based on median age and income. 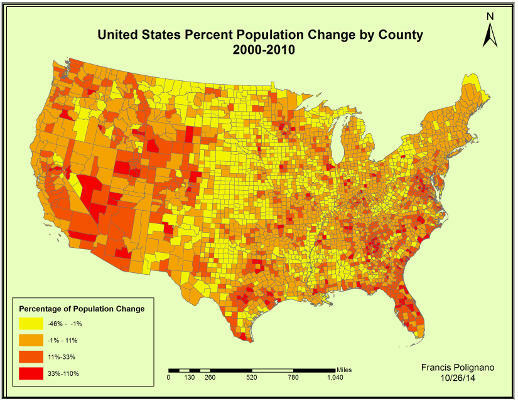 United States Population Change by County (2000-2010). 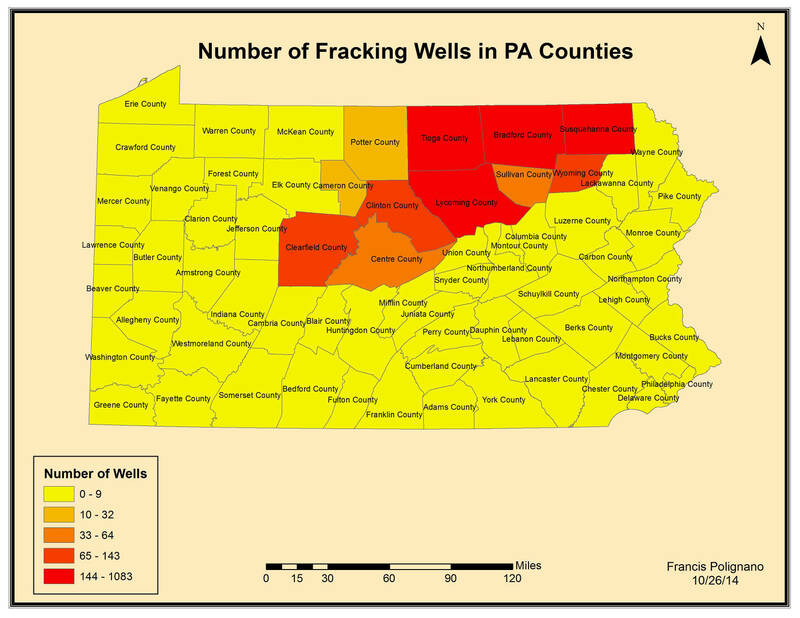 Number of Fracking Wells in PA Counties.